The mining sector in South Africa needs its current situation to undergo a transformation in order to welcome renewed investment and interest. South Africa is the granddaddy of all mining jurisdictions in Africa, with a history stretching back to the 1860s. It is embedded in supporting institutions, including legal firms with a global reach, a banking system rated the soundest in the world (according to benchmarking agency Lafferty), developed transport and communications infrastructure as well as the technical products of dedicated mining schools at Wits University and the University of Pretoria. With South Africa having been the world’s predominant gold miner for more than 100 years, until being overtaken by China in 2007, it is a powerful and widely recognised brand. But, the reality behind the brand is less impressive. According to the Chamber of Mines, real mining GDP in 2016 was 2.6% smaller than its GDP recorded in 1994. This is partly due to the exhaustion of the country’s gold assets – which is the main reason production volumes of the yellow metal have dropped over the past 23 years. However, political and regulatory factors have been a significant headwind too. 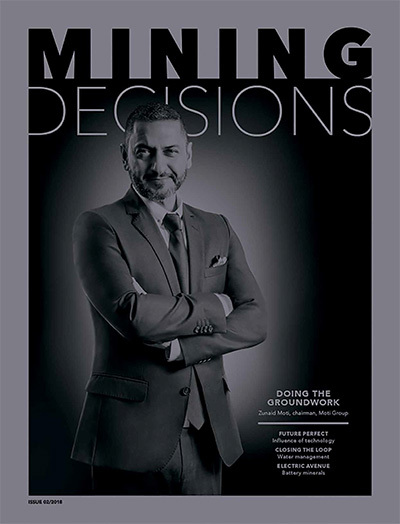 In mid-2017, when the Department of Mineral Resources (DMR) published a notably investor-adverse version of the Broad-Based Black Socio-Economic Empowerment Charter (‘Mining Charter’) for the South African mining and minerals industry – designed, ostensibly, to transfer ownership, control and benefits to black South Africans – the markets reacted with horror. The Johannesburg Stock Exchange shed some ZAR50 billion overnight. But the condition of some big parts of the industry was sufficiently worrying that much of this negativity had already been priced in. According to PwC, the market cap of the South African mining industry dropped 25% between 2016 and 2017. The consultancy points out that in this period, net fixed investment had fallen into negative territory, barely covering depreciation. 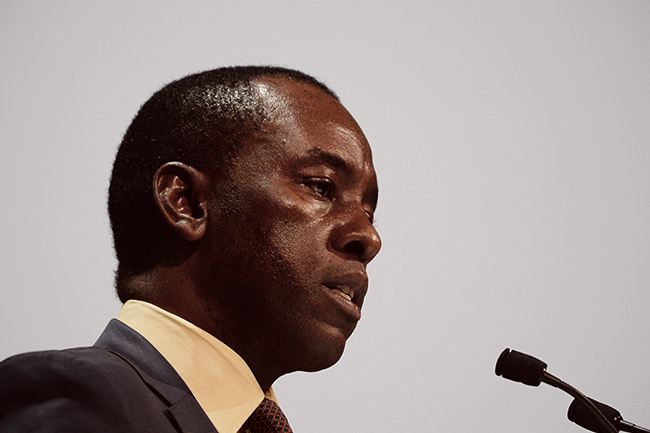 At the same time, the assessed quality of the mining jurisdiction – the primary responsibility of Minister of Mineral Resources Mosebenzi Zwane – had plummeted down the Fraser Institute’s mining company rankings – to an all-time low of 84th (out of 104) in 2016. 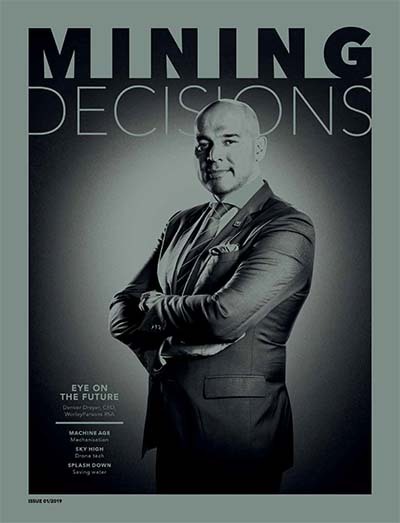 The fact of the matter is that the mining industry in South Africa is in a holding pattern as outstanding regulatory and political issues remain unresolved. The industry has been in negative capital investment territory for the past two years, with the industry writing-off more than it has invested to the tune of ZAR48 billion in 2016 and 2017. The two high-cost large-scale commodities in the South African basket – gold and platinum – have been worst affected. Coal, the country’s biggest mineral product by value and volume, is in a far more ambiguous position. South Africa’s annual output – in excess of 250 million tons – accounts for more than 90% of the continent’s production. The global price has climbed steadily from around a US$40/ton level for most of 2016 to US$65/ton in the last few months of 2017. Internationally, the coal industry is under pressure on account of its association with emissions of high-levels of greenhouse gasses, especially carbon. But while coal-burning power stations are unpopular in Europe and North America, the technology is still being implemented in the developing world. Kenya, Tanzania, Nigeria and Senegal have announced coal-burning power station projects, and some of these will be fired – in part – by South African coal. India and Pakistan also make extensive use of the technology and imported 37 million tons of South African coal in 2016. Despite these positives, there is much uncertainty in the country’s coal sector. These revolve mostly around the role of electricity parastatal Eskom, which buys about half of the country’s total annual production – accounting for some 120 million tons. Eighty percent of Eskom’s coal supply is secured by cost-plus contracts where it effectively acts as a banker and assumes responsibility for financing capital development. But with the company having become financially stressed in recent years, investment in new capacity has fallen to dangerously low levels. The industry warns that this raises the likelihood of a ‘coal cliff’ beyond which coal supplies would be inadequate. Former Eskom CEO Brian Molefe had insisted that there was no such thing as a ‘coal cliff’. Uncertainty about Eskom has seen diversified international players such as Anglo American and BHP Billiton exit the South African thermal coal industry in favour of smaller, local companies with better local contacts and a higher appetite for risk. One of these is Seriti Resources, headed up by former Chamber of Mines president Mike Teke. The black-owned consortium is in the process of purchasing three cost-plus coal mines – New Denmark, New Vaal and Kriel – from Anglo American for ZAR2.3 billion. Seriti may add the 15 million tons/year New Largo project, currently part of the Anglo stable and intended to supply the huge Kusile power station currently under construction. New Largo comes with some daunting numbers attached though. It is estimated that it will take an additional ZAR20 billion to bring it into full production. If Seriti succeeds in its ambition, it will make the company the largest supplier to Eskom in South Africa. It is not only in coal that local players are picking up assets. 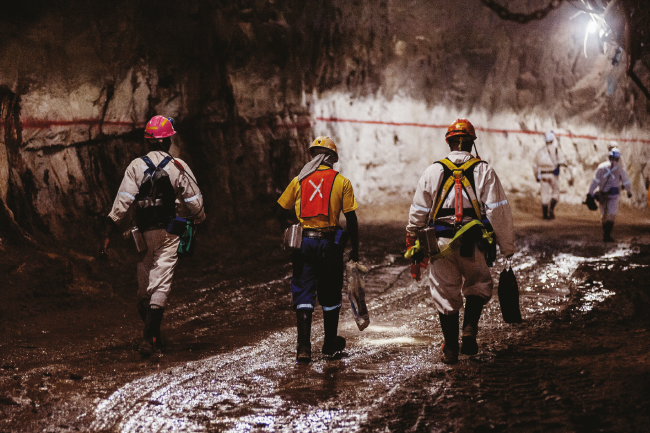 In December, the acquisition-hungry local player Sibanye-Stillwater made an all-share offer for the world’s third-largest platinum operation, Lonmin, for US$382 million. Lonmin, whose Marikana mine was the site of the infamous 2012 massacre, has struggled in recent years and has had to refinance its operations three times since 2009. If the deal goes through, Sibanye-Stillwater will become the world’s second-largest platinum producer and will illustrate the point that tightly run firms with access to finance can still expand (through acquisition), even in South Africa’s difficult investment climate. The Chamber believes it is under attack by an ideologically driven minister, deaf to its concerns. Things have become progressively worse during the course of Zwane’s tenure. 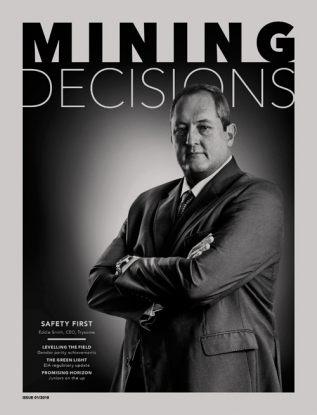 In September, the breach became blatant when Chamber of Mines CEO Roger Baxter referred openly to the ‘significant corruption allegations against the minister’ and said that the industry had ‘lost confidence in him’. 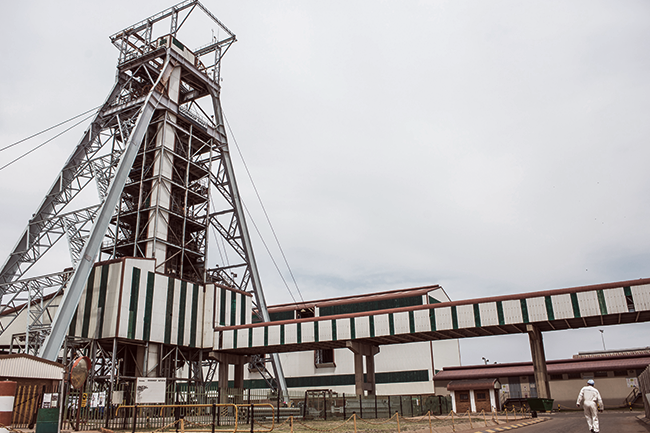 The industry has been waiting for an amended version of the country’s basic mining law – the Minerals and Petroleum Resource Development Act (MPRDA) – since President Zuma sent it back to Parliament for revision in January 2015 after being advised that it contravened the national Constitution. That legislation had initially been passed in a flurry immediately before the 2014 elections, and one of the arguments against it was that requirements for public consultation had not been met. The amended law was passed by the National Assembly on 1 November 2016 but has subsequently been embroiled in hearings at the National Council of Provinces. In 2015, the amendment had the support of the Chamber, which had engaged in the process since it was first announced by then minister, Susan Shabangu in 2011. However, it was opposed by the oil and gas industry, which was horrified by its provisions to potentially nationalise ownership. It is unlikely that the new legislation will avoid further controversy. Legal firm Dentons is of the opinion that ‘the most recent version of the bill does not differ materially from that which was passed in 2014’. Tendai Bonga of environmental lawyers Cullinan & Associates argues that the new bill will add to the tally of controversial legislation governing this sector. Bonga is referring especially to regulations around oil and gas. The offshore exploration regulations are likely to be revised only when the MPRDA is amended, but the issue of regulations for hydraulic fracturing (fracking) in the Karoo illustrate the more generalised uncertainty in all mining sectors. Although Zwane stated in March last year that ‘fracking will go ahead’, a legal objection brought by local farmers and heard in the Eastern Cape High Court in October, left the industry further than ever from regulatory certainty. The court found that the minister could not promulgate regulation as he did not have the authority to do so on environmental matters. This appropriation of powers vested in other ministries has become characteristic of the DMR. The most high-profile issue over the past six months has been the publication, and then suspension, of the third version of its empowerment charter. In that document, the minister appears to attempt to usurp powers granted to National Treasury (taxation), the Department of Trade and Industry (definitions of empowerment) and Parliament (presenting the charter as legally binding). The fact is that the industry is refusing to work with Zwane and will deal with him only through the courts. Talks last year between the industry and Zweli Mkhize, then treasurer general of the ANC, as well as a separate process involving Finance Minister Malusi Gigaba have produced nothing of substance. The industry hopes that the succession of business-friendly Cyril Ramaphosa as ANC president in December will see changes to the cabinet, including the replacement of the present minerals resources minister by someone more attuned to the needs of mining investors. Until then the present pattern is likely to prevail – international majors will divest of marginal assets and local players will snap these up in the hope of better times ahead. But expansion and new investment should not be expected to revive until a new regime is in place and has proven itself.